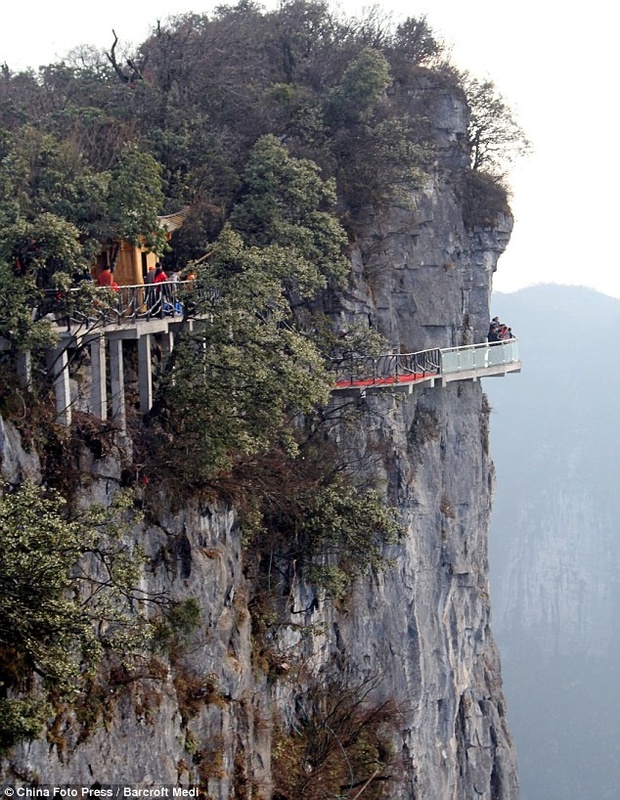 One of China’s newest tourist spots is a glass-bottomed walkway around the cliff face of the Tianmen Mountain, 4,700 ft above sea level, at Zhangjiajie, Hunan Province. The 200ft long bridge joins the west cliff at the Yunmeng Fairy Summit, the summit of Tianmen Mountain and Zhangjiajie. The pathway echoes the glass-bottomed walkway at the Grand Canyon in the U.S. The 70ft bridge is 4,000ft above the natural wonder and allows tourists to look through 2.5in of crystal clear glass to the Canyon floor below.